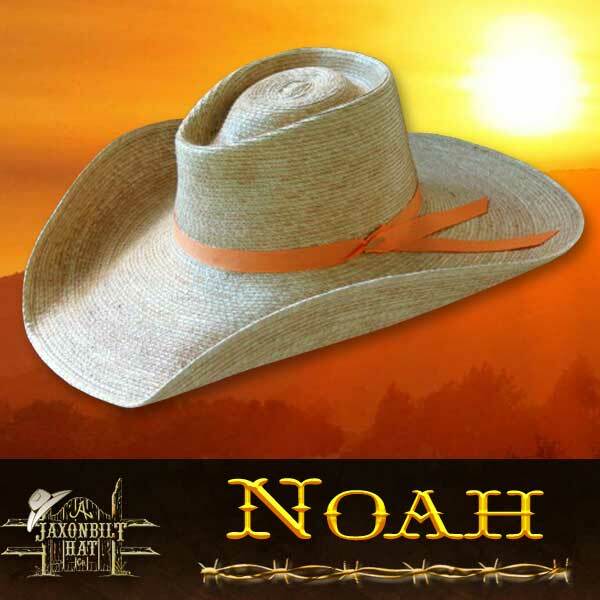 “Noah” Here is a wonderfully crafted “Tear Drop” style for a front pinched hat. 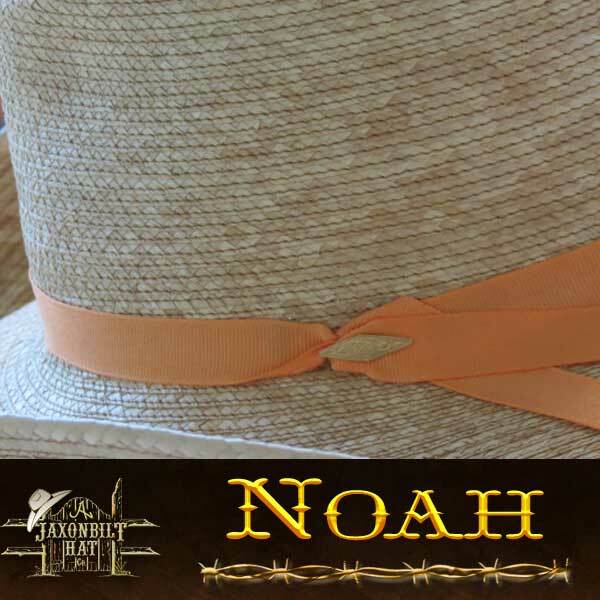 The peach ribbon sets the off. 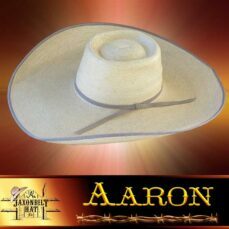 Notice the smooth lines of the crown and how the shape of the brim adds to the overall look of the hat. 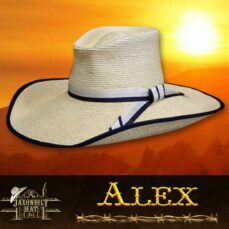 You can order your “conformer kit” today and have a JAXONBILT HORSE TROUGH HAT built for you.